La Quinta Arts Foundation produces and hosts “the #1 ranked fine art festival in the nation” March 7-10, 2019 at La Quinta Civic Center Campus. 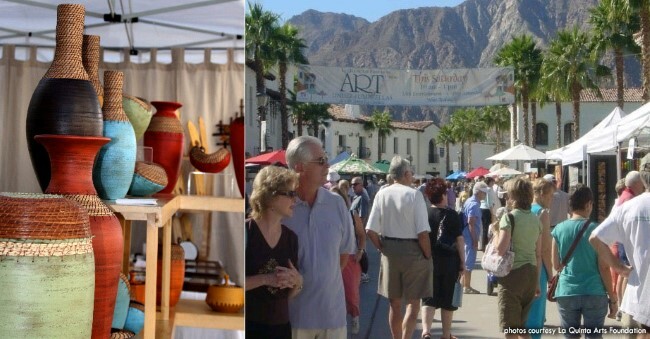 The La Quinta Arts Festival expects to launch with sunshine and 75-degree temps, then hover around 70 degrees during the remaining days (Friday through Sunday) of the event. While the desert’s nice, there are arts & gems to see throughout California this weekend. CAYUCOS: Sea Glass Festival near Cayucos Pier Mar.9-10. Sea glass found along seashores, is smoothed and shaped by ocean waves. Artists and jewelers collect these unique treasures and either sell them for you to make what you want, or purchase in uniquely designed necklaces, bracelets, earrings and other jewelry. LONG BEACH: Puvungna Powwow March 9-10 on the campus of Cal State U. 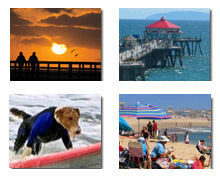 Long Beach, features many Native-themed, handcrafted collectibles. You never know what you will find, but one thing’s certain — it takes place rain or shine! LOS ANGELES: Vivid Spectrum art show reception at Mash Gallery March 9, invites the public to view a collection of fine arts from around the globe in a show curated by Mark Murphy. MARYSVILLE: Bok Kai Festival March 9-10 seeks your support through attendance, and purchases of great artisan crafts and more. ONTARIO: Pinners Conference and Expo at the Convention Center March 8-9 is for those who love to create. The marketplace includes 300 vendors with DIY, crafts, cooking, photography, scrapbooking, macrame 101, wood floral arrangements, handlettering, sewing, quilting classes and more. SAN FRANCISCO: Great San Francisco Crystal Fair March 9-10, includes minerals, gems, beads, jewelry, and beautiful crystals for sale! TURLOCK: Rock, Mineral & Jewelry Show March 9-10 at Stanislaus Fairgrounds, features the above mentioned, plus over 40 dealers selling fossils, jewelry, beads, fluorescents and more!